The microscope has been used in science to understand element, diseases and cells. 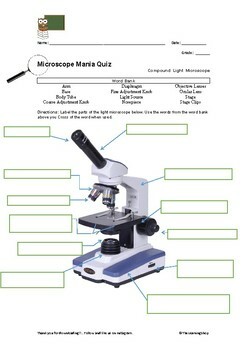 Can you pick the correct part of the microscope when given the part's name? Test your student's knowledge on this science quiz. The Learning Shop appreciates your purchases and would love to ensure that you can reap the most out of our resources. If you have any questions or concerns in regards to our resources leave us with feedback in comments.